3092 Farley Road is located in the desirable neighborhood of Sandpiper in Port Saint Lucie. This updated, three (3) bedroom, two (2) bathroom home is situated on oversized lot. Granite counter tops and stainless steel appliances in the kitchen really stand out against the dark, wood cabinets with modern hardware. Enjoy the Florida sunshine in the pool or entertain guests on the large, covered patio. Additionally, 3092 Farley Road is located just minutes from the treasure coast mall and plenty of dining options. 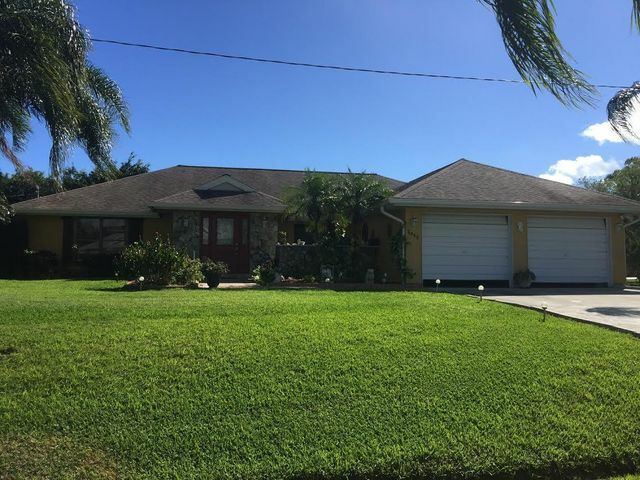 Don't miss out on this updated Port Saint Lucie home!